TIHOSAY is a hub or center for other cryptocurrencies and its own token to be used as a payment method by developing an Exchange and Debit Cards for users and merchants to be able to carry out financial transactions. The TIHOSAY exchange boast of offering digital assets to merchants with zero trading commission rights daily on the exchange. While this is interesting, its just not all. Below is a shot of the card and App. Its Debit Card users would be able to withdraw cash, it also supports about 9 different cryptocurrencies and it can alsed for shopping. This comes handy if you are a shopper. You just use it as your normal bank cards. Now How Does TIHOSAY Works? As said above, TIHOSAY provides a hub for its own and several cryptocurrencies to be used as payment method as well as development of an exchange and a debit card of various types such as PLATINUM CARD, GOLD CARD, SILVER and VIRTUAL CARD and its signature card, TIHOSAY SILVER VISA®. Below is a summarized process or step or procedures on how it works. 1. In order to use the services of TIHOSAY, one has to be logged into the platform. This is achieved by downloading the TIHOSAY Application of your Operating system and creating an account. From this account is where you will be able to control all your transactions from a single wallet. There is are applications for Windows, iOS and Andriod devices. 2. The next step is funding your wallet. This is done by buying tokens at the TIHOSAY exchange which will be credited to your wallet on the TIHOSAY platform. The App you downloaded. 3. Thirdly, you will have to transfer your money as your local currency to your TIHOSAY debit card which you can use for shopping or paying for other services. 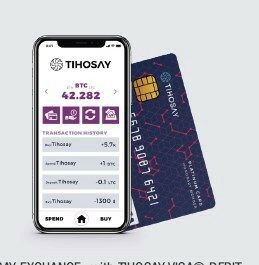 Interestingly, the TIHOSAY Application boast of some incredible features such as is seen in traditional banks which hitherto in the crypto world. 1. You can initiate a standing order on your TIHOSAY Application to fund your card by transferring automatically funds if it falls below a pre-set limit. 2. Your TIHOSAY exchange transaction can also be funded by transferring money through wire transfer to your debit card. 3. You also have to ability to Freeze your card. This is incredible, one of the best features for those who always look for their cards. 4. You can change your PIN, You can also set up Automatic Payment Order through the Application etc. You will be able to carry out your Exchange and Card transactions from a single wallet and single application. TIHOSAY is basically bringing the traditional banking world features into crypto. With the talk/discussion of what TIHOSAY is and the platform features, what comes to mind is how the plan to pull something of this magnitude off. 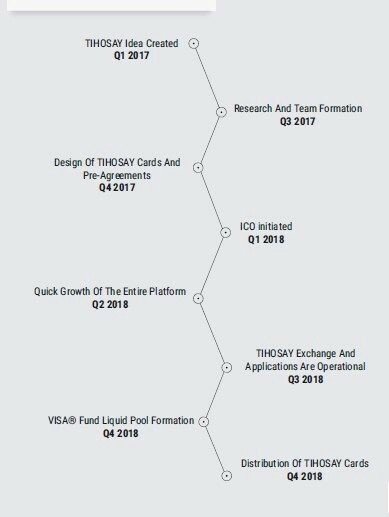 TIHOSAY Was idealized in the first quarter of 2017 with development following, and it has effectively developed the technology which will power this interesting projects. 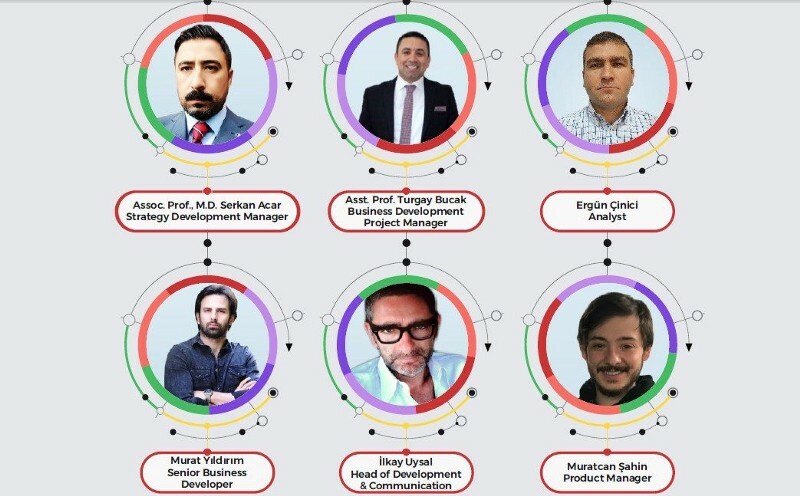 What backs this project is a power-packed team with experiences in handling this technology and the blockchain technology. Those are fundamental in the success of a project. A project is as good as its Team. 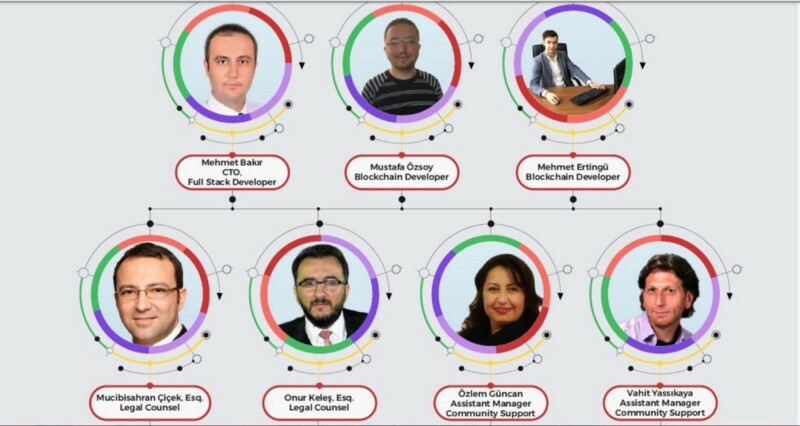 Below are shots of its Team Members. The table is full with consultants which will ensure the smooth operations of the project. 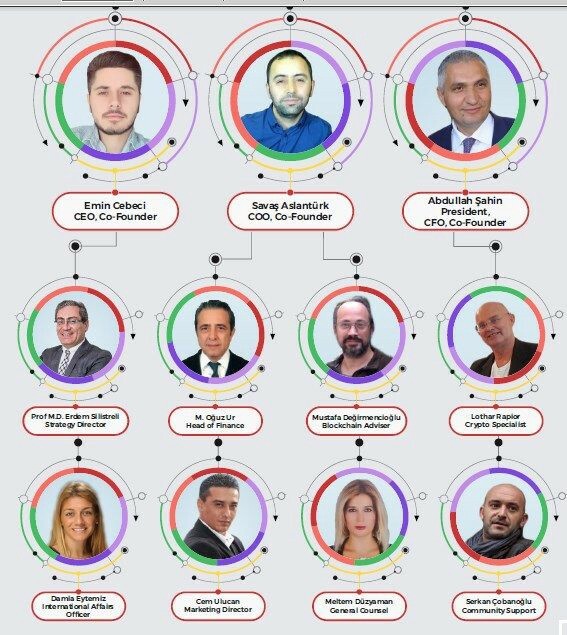 The road map of the project is below also, as seen, its currently in its ICO state in the 1st quarters of 2018. SUMMARY: TIHOSAY is a revolutionary project which aims to incorporate crypto into our daily living. While lots of people have made good sum of money from crypto, it’s interesting that the adoption isn’t as it should be to enable them using their fund for whatever purpose they desire. That is where TIHOSAY comes in. It seeks to enable you be who you want to be with your fund from/in one place. You don’t need to go through any hassle. You, Your Card and Your APP — That is TIHOSAY. While many projects come out with revolutionary ideas, its success depends on legal requirement, uniqueness of the technology, adoption and marketing. We do hope TIHOSAY achieves these so as to make crypto better for everyone.